This is one to savor and keep forever. Every year on our wedding anniversary our amazing daughter gifts us with a celebratory dinner at a fabulous, noteworthy restaurant. 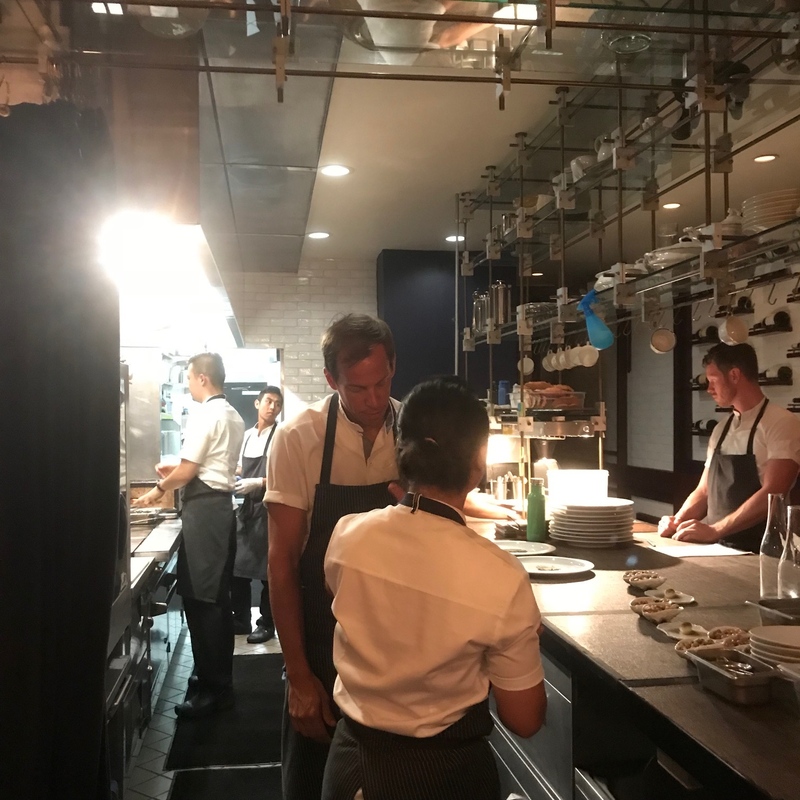 Last night we experienced a divine evening at Maude, noted chef, Curtis Stone’s high-end Beverly Hill’s New American eatery. 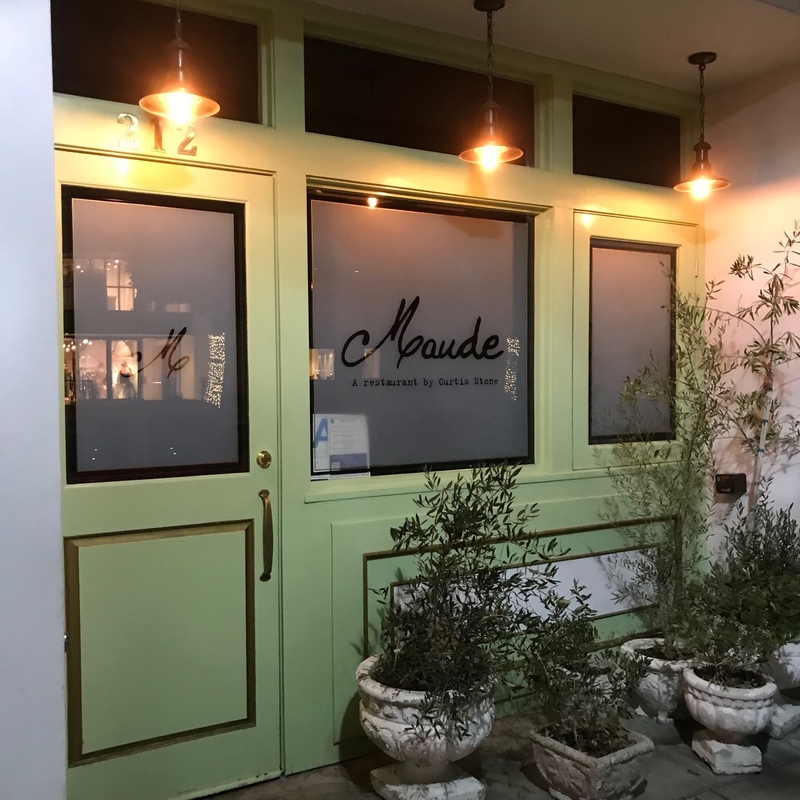 Maude is a tiny, intimate culinary jewel offering quarterly seasonal menus around the cuisine and the wines of a single wine region. 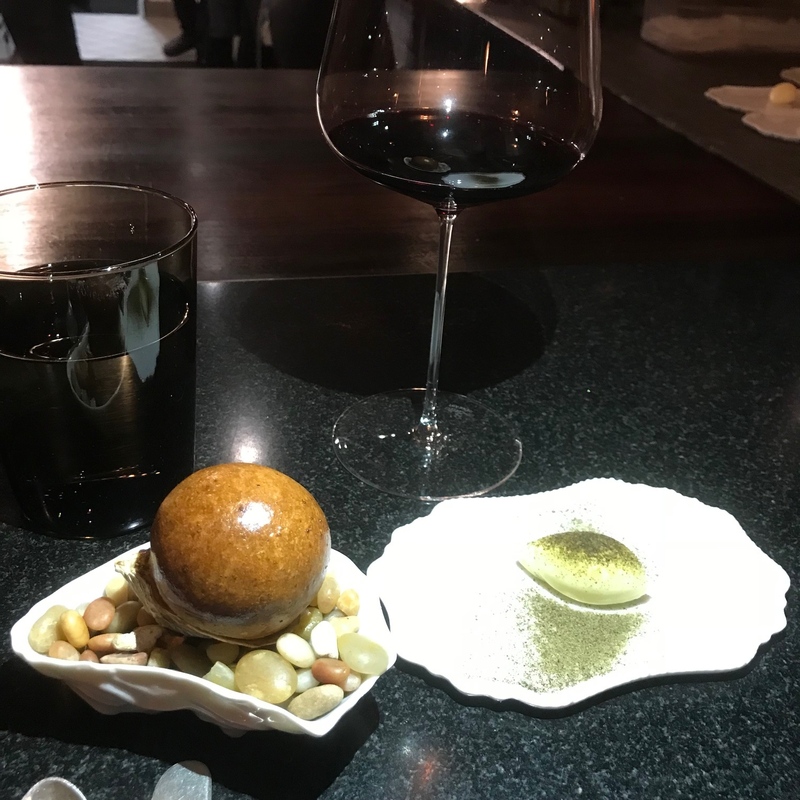 We sat at the 4-seater bar and were able to ascertain the inside scoop on the evening’s dynamic courses. We selected a lovely, velvety Beekman Syrah after consulting with the very knowledgeable sommelier. 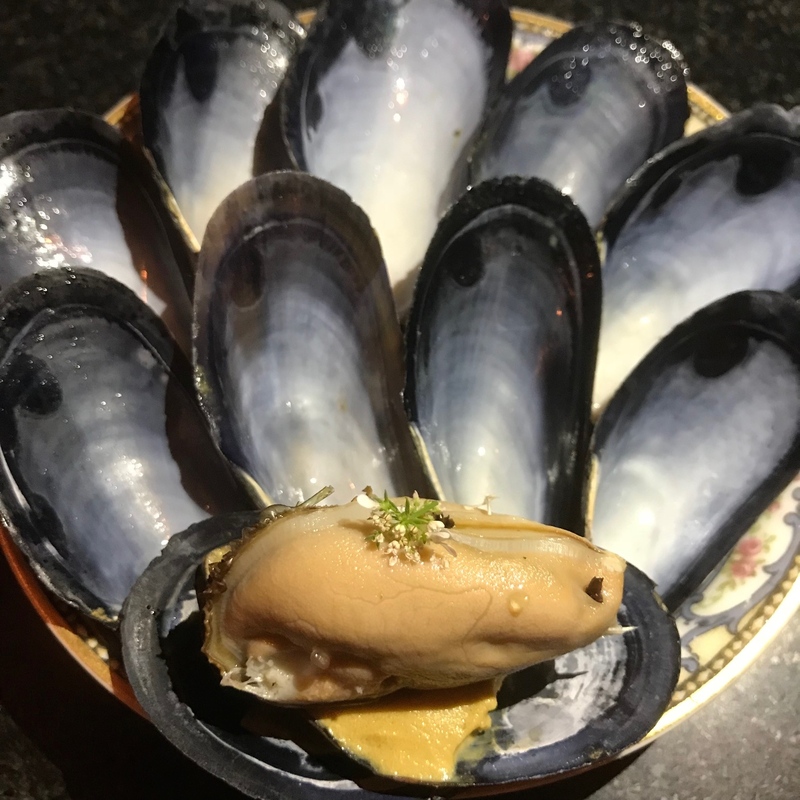 The evening kicked off with mussels and a delectable mussel ice cream that tasted like foie gras. 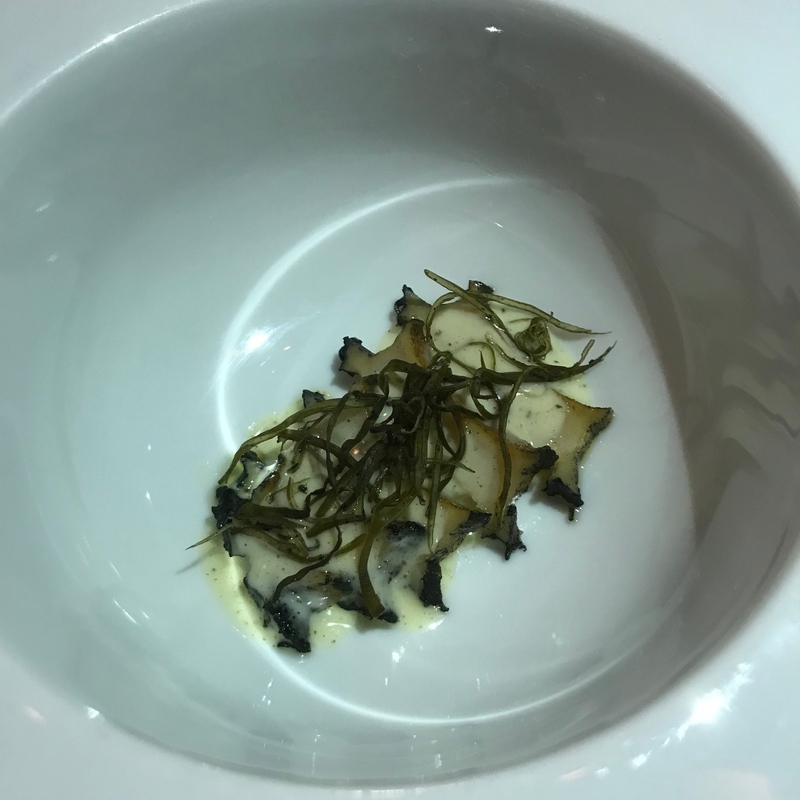 The Oyster Bread was hot and delicious with divine kelp butter. 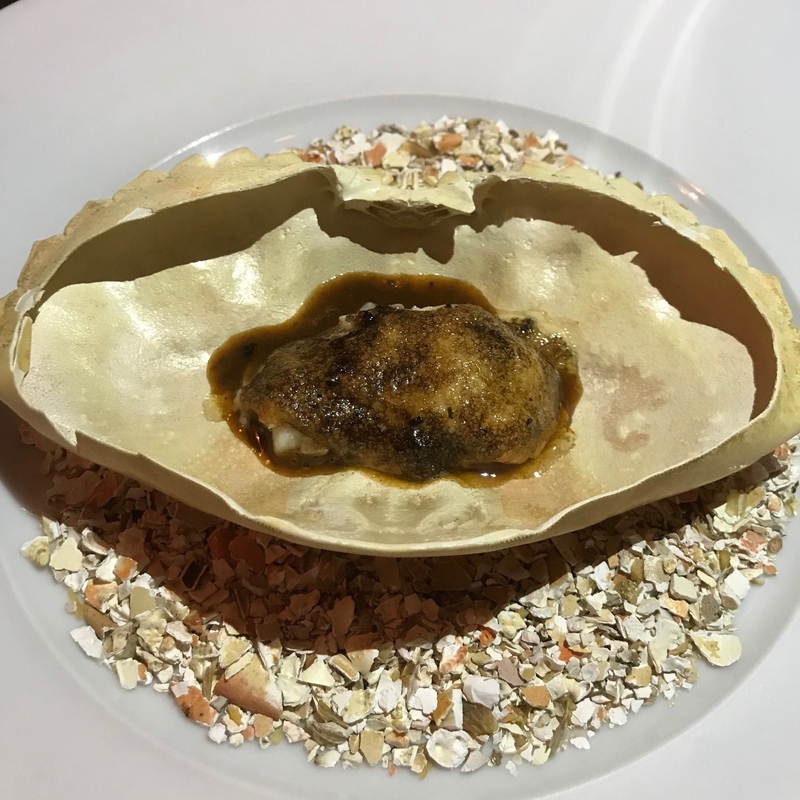 The Abalone was tender and tasty. 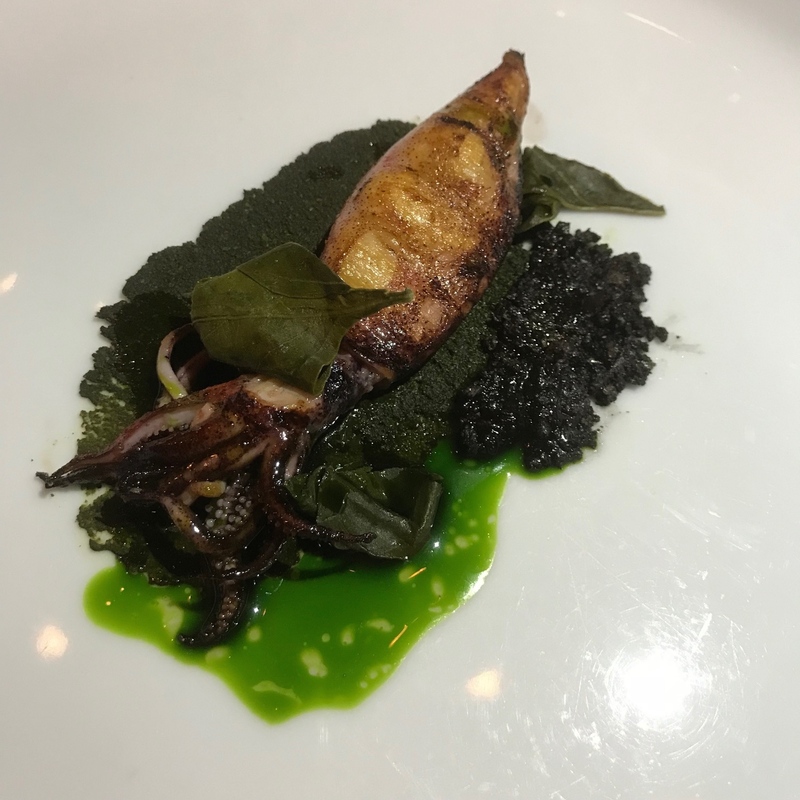 The Central Coast theme continue with Squid. 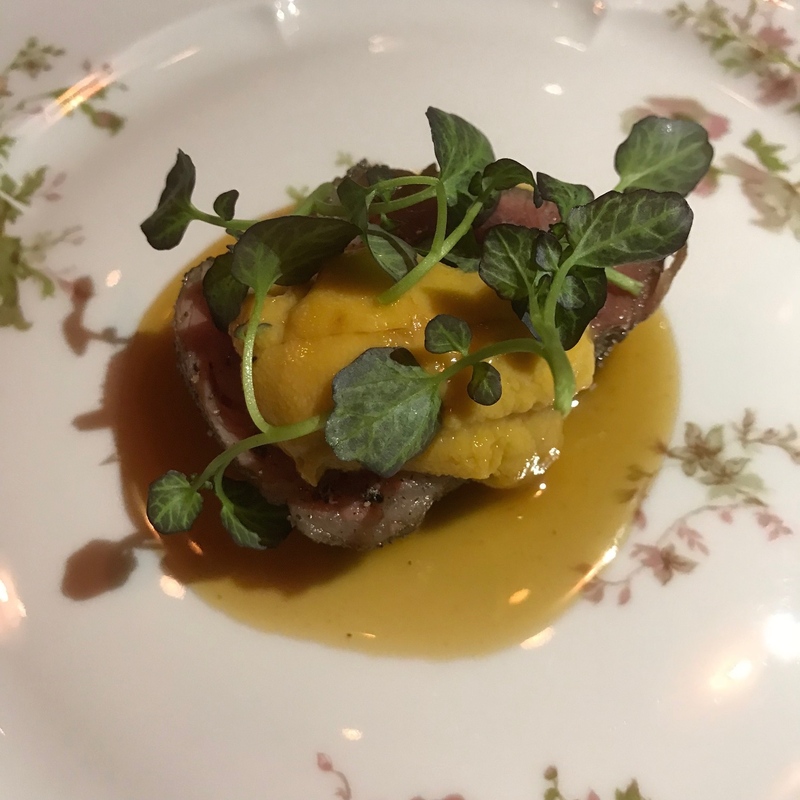 The 30 Day Aged NY Strip Sirloin with Uni was what foodie dreams are made of. 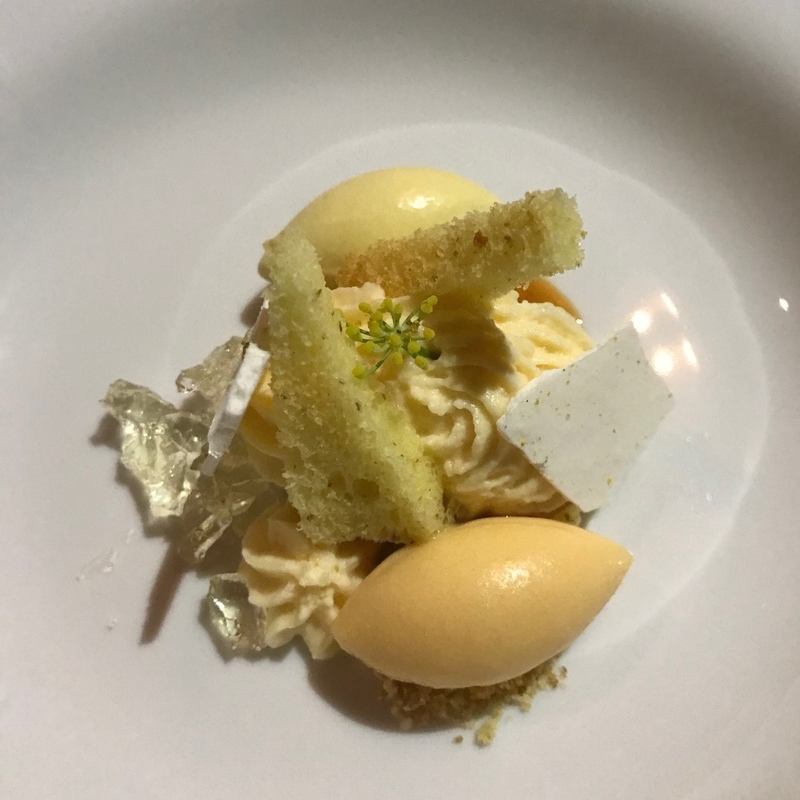 The evening ended with dessert next door and up a flight of stairs to a private wine room where we were treated to a three course dessert menu, serenaded by vintage vinyl. They even had a Huey Lewis and the News LP which set a nostalgic tone. 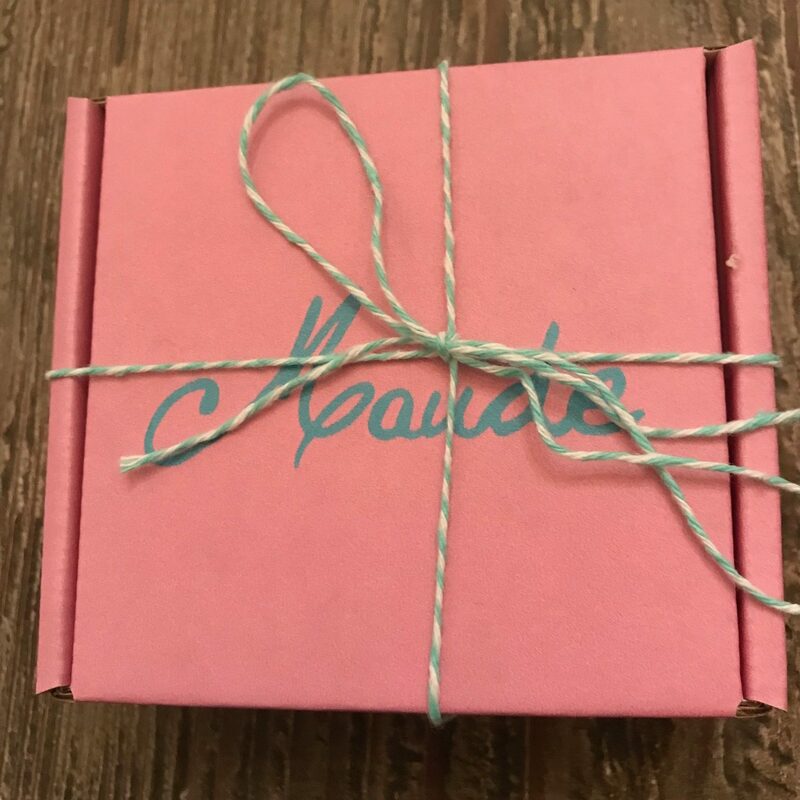 We were also gifted a boxed breakfast treat which kept the memorable meal alive. 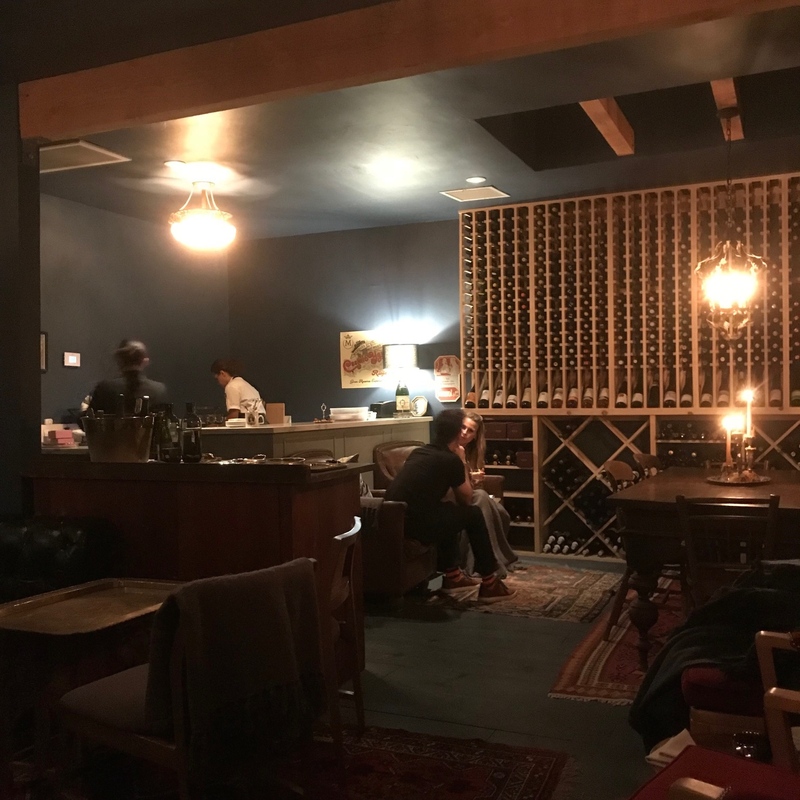 The evening was further enhanced by our bar mates, Enrico and Rosanna, a charming Italian couple visiting from Rome who were spending their only night in LA at Maude. 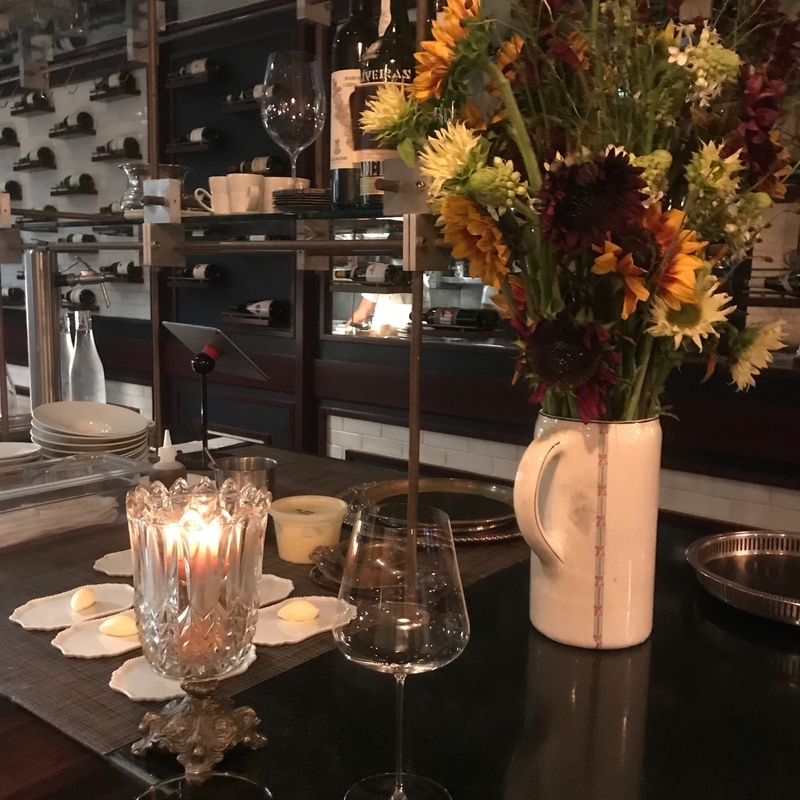 We toasted 34 years of a blissful marital union, we saluted Queen E. and a final tribute to the most incredible daughter any parent could ask for. Courtny is our greatest gift…thank you for a night to remember.